Former President Benigno Aquino III has reiterated that nobody knew the Dengvaxia dengue vaccine posed risks when it was sold by pharmaceutical company Sanofi Pasteur to the Philippine government in 2015. “Nobody knew that there were risks if you used this vaccine,” Aquino said in a press conference after the Senate Blue Ribbon probe into the controversial vaccine yesterday (Thursday, December 14). Aquino said that to him, any other person faced with the same situation would do the same knowing the vaccine was going to prevent dengue in a country where the number of dengue cases was increasing. He added that he could not imagine knowing that a vaccine that could prevent dengue was readily available but not taking any action to procure it. “What reason would I give the people when there’s this vaccine that can prevent dengue which the government can afford but I won’t allow its purchase. How do I explain that sort of decision?,” he added. Aquino attended the hearing into the controversial vaccine upon the invitation of the committee. This is the first time Aquino, a former senator, returned to the Senate since he was elected president in 2010. Senator Richard Gordon, committee chair, earlier said that he saw “strong signs of conspiracy” in the vaccine purchase noting that it seemed like there was a hurry to procure them. He said his suspicion was fueled by reports that Aquino and former Department of Health (DOH) Secretary Janette Garin had several meetings with pharmaceutical company Sanofi Pasteur which resulted in the acceleration of the procurement process. On the other hand, Senator Joseph Victor Ejercito said today he believed Aquino acted “in good faith”. In a statement he read before the committee, Aquino said there were no parties that objected to the purchase. “Before the government decided to purchase Dengvaxia, while making the decision, after making the decision, and until now, there were no parties that reached me that objected of the vaccine,” he said. Aquino said this was the reason why an immunization program was launched in NCR, Calabarzon, and Central Luzon in 2015. He said that because he vowed to leave the Philippines better than it was before, he felt that purchasing the vaccines would be beneficial. The US Food and Drug Administration (FDA), he said, also assured them that they regulated international trials. 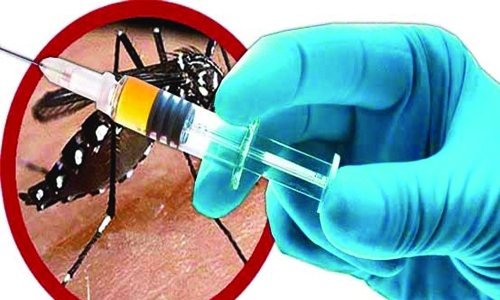 Dengvaxia, which was purchased during the Aquino administration in 2015, was later reported to pose risks to those who have not been previously infected by the virus. The DOH has stopped implementation of its programme.